Polyknit with semi-matte finish. Features a two-color design and a comfortable 2" elasticized waistband. 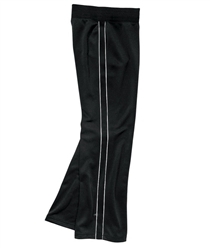 Straight leg, open hem with zippers for easy on/off.